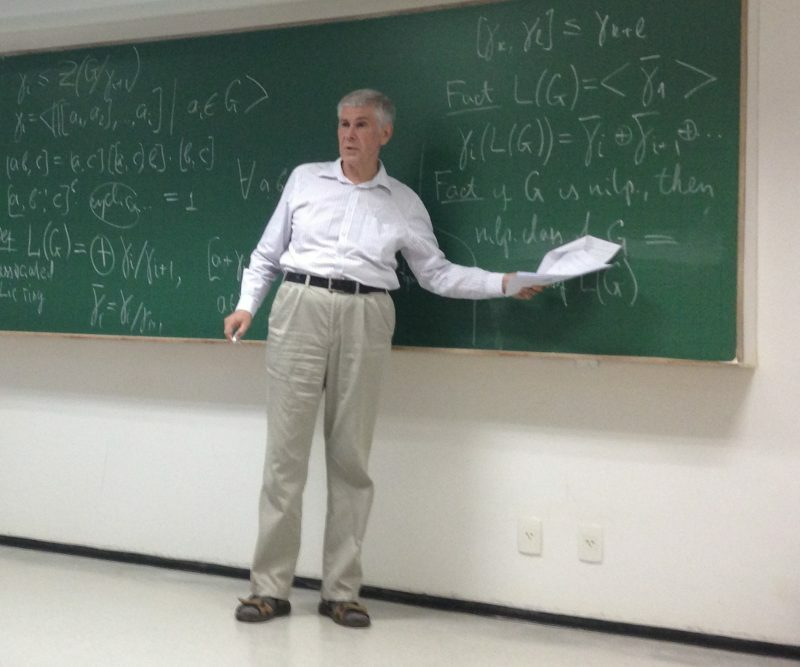 Evgeny Khukhro: LECTURE 3: 08/10 (quarta-feira): Completion of the previous lecture on associated Lie rings with example of groups of exponent $p$. Then final part “Using Baker–Campbell–Hausdorff formula in the study of nilpotent $p$-groups”. Initially, the Baker–Campbell–Hausdorff formula was primarily a basis for the EXP and LOG functors in the study of Lie groups. Its applications to finite groups are not possible in general, yet there are some successful application in certain special cases. Definition and basic properties of the Mal’cev and Lazard correspondences will be described. Examples of applications will be given. Advantages and shortcomings of this construction will be discussed. This entry was posted on October 7, 2014 by Evgeny Khukhro in News and announcements, Talks and visits.